Leading Manufacturer of synthetic turf and artificial turf from Mumbai. Sundek Sport Systems offer a wide range of Synthetic Turf grass to suit the varied needs of our clients. Synthetic turf is a kind of surface manufactured using synthetic fibers that looks and feels like natural grass. Synthetic turf's are widely used in sports arenas, stadiums and complexes along with commercial applications. Synthetic turfs are suitable for both indoor and outdoor applications. Synthetic turfs are widely used in developing hockey grounds, cricket field, cricket pitch, football ground, tennis court, basketball court and badminton court. Our clients can avail Synthetic Turfs from us that are widely used for revolutionized the landscaping & sports arenas. Similar to natural grass, we manufacture these turfs using high grade synthetic material, which is sourced from the trustworthy vendors of the market. Synthetic turf is an ideal replacement for natural grass. Synthetic turf is soft, safe and remains green in all seasons. Sundek Sport Systems offer a wide range of Artificial Turf grass to suit the varied needs of our clients. Artificial turf is a kind of surface manufactured using synthetic fibers that looks and feels like natural grass. Artificial turfs are widely used in developing hockey grounds, cricket field, cricket pitch, football ground, tennis court, basketball court and badminton court. 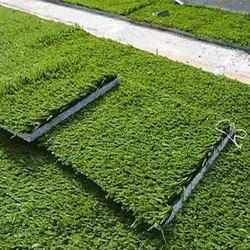 Our clients can avail Artificial Turfs from us that are widely used for revolutionized the landscaping & sports arenas. Similar to natural grass, we manufacture these turfs using high grade synthetic material, which is sourced from the trustworthy vendors of the market. Artificial turf grass is an ideal replacement for natural grass. Artificial turf grass is soft, safe and remains green in all seasons.